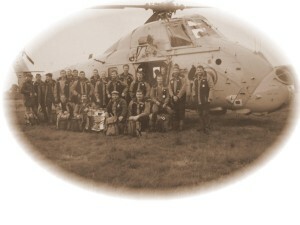 The Killin Mountain Rescue Team was established in 1967. Andrew Comrie, the local Police Sergeant at Killin recruited eight local shepherds, gamekeepers and keen hillwalkers from the Killin area to assist Perth & Kinross Constabulary with the increasing number of mountain accidents taking place in the Killin/Crianlarich area. All eight members were appointed as Special Constables for Mountain Rescue purposes to ensure insurance cover was provided. This formalised what had been taking place for many years with local shepherds and gamekeepers being contacted by the local Police to assist in the search for and recovery of injured/missing climbers. It is of interest that such a service is recorded as far back as 1874. On 3rd January 1874 , Daniel Bower Mitchell, a Dundee businessman, slipped on ice and fell to his death on Ben More during a winter ascent of the mountain. The search was carried out by local shepherds who located the body with sheep dogs. The position of the body was marked. No stretcher was available in these times and a ladder was used for the recovery. This incident is marked by the iron cross erected on the north side of Ben More. The formalisation of the team allowed a small store and MacInnes Mark I stretcher to be located at Killin with a mountain rescue post at Crianlarich. By 1975 the team had reduced to two members and was re­-established by Sgt. Harry Lawrie and Constable Bill Rose, Central Scotland Police based at Killin. A meeting on a Sunday afternoon in the Clachaig Hotel resulted in 30 persons joining, still mainly shepherds and farmers from the Killin/Crianlarich/Lochearnhead area. It is pure speculation that such a large attendance was primarily due to the location of the meeting and the chance of an afternoon refreshment after 2.30 p.m. which was prohibited by Licensing laws at that time. 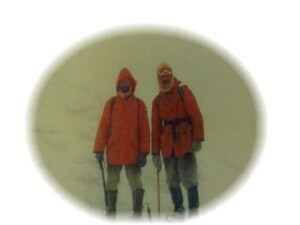 A learning curve took place a few weeks later when the new members were called in winter conditions to Ben Lui. Declining the offer of ice axe and crampons the majority relied on the sturdy crook to ascend the central gully. Although successful on reaching the casualty a few words of wisdom and advice from Hamish MacInnes, who had turned up to assist, to secure themselves to a back rope for safety meant a safe return for all apart from the sturdy crooks which were beyond economical repair. An emergency team meeting resulted in considerable interest from members to attend winter skills training at Glenmore lodge. The late 1970’s saw some good winters with the training of the team in winter skills standing it in good stead. 1979 found the team in the Ben Lui area in a three day search for the pilot of a Jaguar aircraft which went missing during a training flight. Working with the RAF and neighbouring teams in poor winter conditions team members skills were put to the test in locating the body of the pilot and the aircraft. Persons from all teams involved in this incident were commended by the Ministry of Defence for the skills and assistance provided during the incident. In December of the same year the team was carrying out a search on Ben More when they were caught on the mountain by a storm with blizzards and winds recording 90 mph. Two injured climbers were located and evacuated from the mountain. One team member succumbed to hypothermia requiring emergency hospital treatment and a few others suffered mild hypothermia and frostnip due to the ferocity of the storm driving snow inside protective shell clothing. In 1981 considerable interest from the Callander area resulted in the team increasing membership to 50 with a store and post being set up at Callander Police Office. This was a timely move as in November a light aircraft was reported missing in the Callander area. A search over 2 days finally located the aircraft and pilot who had been killed when the aircraft crashed near the summit of Ben Ledi. In December that year a local shepherd failed to return from gathering in the hills above Glendochart Killin. The alarm was raised when his dog returned home alone. Extensive searches over a four day period in winter conditions failed to locate the shepherd on the hill. However thoughts had correctly turned to the frozen river and the shepherd was found having drowned beneath the ice. 1st February, 1987 was an almost spring like day and no-one would have anticipated the dark cloud that would fall on the team by nightfall. Called in the afternoon to Balquhidder the team recovered the body of a climber who had collapsed near Inverlochlarig. The team was diverted to Ben More following a report of a climber having fallen on the snow covered top. The team set out on the hill prior to a Wessex helicopter picking up two team members to assist them with a search of the hillside. Unfortunately when attempting to land on the hillside the helicopter rotor struck a rock crashed into the hillside and slid down towards the team already on the hill. Team members immediately entered the wreckage and assisted the occupants from the helicopter before it was engulfed in flames. Unfortunately Team member Sergeant Harry Lawrie had been thrown from the aircraft sustaining fatal injury. Team member Constable Ian Ramsay and the air crew seriously injured in the crash were treated on scene and evacuated in a second helicopter to hospital. The job however was not finished and the team returned at first light to recover the body of the climber whose fall had instigated the incident. She was found at the foot of a steep snow face with a new set of crampons still in her rucksac. Following this incident Hugh Pearce the helicopter pilot, Team Leader Billy Stitt and team member Stewart Ingles received the Queen’s Commendation for brave conduct and the Central Scotland Police medal at a ceremony in Stirling Castle. However the team does not dwell on tragedy with the vast majority of incidents resulting in a safe recovery of the missing person. Incidents such as: a 13 year old boy wandering off into the hills wearing Wellington boots and a pullover being found using heather to insulate himself from the frosty night; a climber descending a steep snow slope losing his contact lenses, decided correctly to snow hole for the night. At daylight he found his contact lenses glinting in the sun and was traced by the team on top of a large dangerous buttress; all make the work of mountain rescue worthwhile. In 2005 Killin Mountain Rescue Team was awarded the Queens Golden Jubilee Award for voluntary service by groups in the community. The nomination was made by Killin Community Council in recognition of the voluntary work all members of the team have made to providing assistance to people who find themselves in difficulty on the mountains in the Killin, Crianlarich, Lochearnhead and Callander area. Technology has moved on since 1967 with the introduction of radios for Mountain Rescue Teams providing effective communications, and the availability of Search and Rescue Helicopters , equipped with night vision,to assist in searches and air evacuation of casualties at night, and in conditions which in the past, could only be achieved by a long walk in and a long stretcher carry out. An automated SMS call out system, provides a quick response by members to incidents. A Land Rover donated by the Order of St John, based at Killin. And a minibus, control vehicle replaced in 2009, and based at Callander provides efficient transport to cover the large rural area the team operates in. Mobile telephones have brought about a change in mountain rescue. Initial concerns that they would lead to a large increase in false calls has been negated by the benefits of incidents being reported at the time they happen allowing a quick response and evacuation in daylight. Indeed there are numerous occasions the team using its experience and knowledge can give advice to lost climbers and guide them downhill by mobile phone avoiding a protracted search at night. The team responds to an average of 20 incidents per year on the mountains with winter snow and ice conditions being the busiest time. Unfortunately injuries can be serious and the team takes full advantage of developments in casualty care in the mountain environment. Oxygen and entenox gas now using lightweight carbon fibre cylinders are utilized by the team for casualty care. Vaccum splints and thermal casualty bags developed in North America provide the best immobilization equipment currently available. Following advice gained on a resuscitation seminar the team is now equipped with defibrillators suitable for use in harsh mountain conditions. Heart attacks are fairly common on the mountains and modern defibrillators are light, easy to operate and greatly increase survival rates in cases of coronary emergency. One thing that has remained since 1967 is that Mountain Rescue is still a voluntary service., with members giving up free time to train and assist people in difficulty on the mountains. The team maintains its original policy of keeping a local membership who provide the local knowledge, and hillcraft skills necessary to provide quick response and resolution to incidents in the areas our members live and work in. The team however would not be able to operate effectively if it was not for the kind donations from within our local community, local businesses, people who enjoy the mountains and numerous other organizations, who support our work and allow the team to maintain its equipment to the standard necessary to give our best to those who call on Killin Mountain Rescue Team for assistance.